The Corbett report along with Douglass Valentine has done this great video called “Trump Admin Raising Phoenix Program From the Ashes” Douglass Valentine has really done his homework on the Phoenix program. He shows how the Phoenix program started in Vietnam and has been used as a system for social control to take over a country. The Phoenix program has been used over and over again in Nicaragua, Central America and now Syria and Iraq. It is presented as a program to help the people but it does just the opposite. In America it brings contractors into our neighborhoods under cover of neighborhood watch groups. What this is however is really a takeover of our neighborhoods with backing by the military. It is Full Spectrum Dominance of America. Primarily Phoenix was developed by the CIA and I cannot stress that enough. Whatever you hear about it always remember the CIA developed it and controls it and oversees how it is working. Phoenix is a cookie cutter operation that was designed to gain Full Spectrum Dominance of a country. 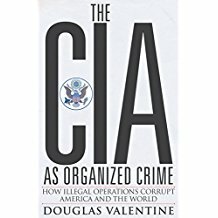 Now when you hear that the Phoenix Program is in operation here in America, remember it is still CIA and it is a system that has been perpetrated on the American Public. Remember that it is a psychological operation (PSYOP). It is designed to fool the people of a country to believe in this case that the country (America) is at war. We are at war, but it is a war with the CIA and they are winning unless and until you pull your head up to take a look and see the truth. Really, look around and notice….> In order to understand what is going on, remember that the CIA is in league with the corporations and banks. Okay, maybe there are a few, but the US has been pulling off False Flag Operations for over 50 years. You have a 500,000 to One chance of being killed by a Terrorist. You have a 500:1 chance of being killed by a Weaponized Moron. So, if you are not focussing on Weaponized Morons you are not paying attention. Okay, you could call the WEAPONIZED MORONS terrorists and that would be a true statement. Terrorism was a psychological operation developed by the CIA, surrounding the events which occurred on 9/11. Torture too was needed and it was worked into the news and the conversations due to Guantanamo. Torture was a psyops because the Iraq war was a psyops. Torture was needed for trauma based mind control, which is how they make Manchurian candidates. Think about this, If there was no 9/11, This Phoenix Program would be meaningless and would not have worked. 911 brought the war on terror and the Iraq War. We went to war with Iraq over Weapons of Mass Destruction. But remember, there were no weapons. But we did go there and Iraq had OIL which we wanted. Yes we wanted something they and other countries have. What happened in and to Iraq has happened to countless countries beginning with IRAN in the 1950′, to Central and South America, Iraq, Afghanistan and now America, Yes, America because we have something they want. We have pension funds and other financial objects. But I think the main objective is the fact that they have been asset stripping for years and the elite is afraid they will be found out and punished. One thing you must know at this point is that the Phoenix Program is already in place in America. It has surfaced in the news that Erik Prince is collaborating with the Trump administration. You hear how Prince is talking about instituting a renewed Phoenix Program. But this is a psyops or false news, because the Phoenix Program is already in place in America and is going on now. The CIA leaked this news and they are masters of leaking. This particular news is not true because this program is already in place in America. Phoenix is psychological terror against a country and its people. Mercenary Contractors are killing Targeted Individuals (TI’s) with soft kill methods which include Gangstalking and Directed Energy Weapons (DEW). These are combined to terrorize the citizens. which are called less than lethal weapons. But that is a lie because energy weapons were designed from the start to be lethal and they have some lower power versions which are used to hurt people but it just depends on the power level what the outcome is. Low power over a longer period of time leads to early death. Also, high power for a short period of time also results in death, but DEW was designed from the beginning to be lethal. The Phoenix program has brought contractors to invade our neighborhoods. These contractors will tell you that this is done to help you and save you from Terrorism. They are doing counter terrorism which is itself terrorism. It is terrorism on the American people. Targeted individuals are used as a scapegoat or false flag operation. The contractors use the TI as a false flag means to enter a neighborhood. Under the guise of protecting the people, the targeted individual is under surveillance by them. Now we have contractors being sent into our neighborhoods using neighborhood watch as cover. This whole thing is scripted as though it were a play. There are variations of this play in every neighborhood but is always the same basic thing. The contractors will say that the TI is a terrorist who needs to be watched, but that is a lie to mislead the people. The TI’s are being tortured by these contractors and have done nothing to warrant being put into a virtual prison. This whole thing is orchestrated by the Department of Homeland Security (DHS) and the fusion centers. They chase targeted individuals, who are on the terrorist watch list as enemies of the state. The contractors present the TI’s as a false flag operation, saying that the TI is dangerous and telling the people in the neighborhood vicinity that they need their help to monitor the TI which begins their psychological operation. They tell the people that they should help them and good things will happen and they get money and jobs to assist them. But they will be spied on and surveilled and they will be killed because the shadow government is afraid of them. They will be put on lists of gun owners or Libertarians or natural leaders and constitutional extremists believe in constitution as law, etc. Remember that I said this was a war against the American People. So you can see now that the TI is again, a false flag operation. What is really wanted is threats in the neighborhood. In case of an insurrection and America, where martial law is declared and America is taken over, they want to know who is on their side and who is going to be a trouble maker so they can be taken out. This is not what the contractors want the public to know. The contractors will lie to gain their cooperation. The Phoenix Program has 3 different aspects. I am only concentrating on the first aspect which is Hamlet Informant Program. This is at the neighborhood level. Is Trump Raising Phoenix Program From the Ashes? answer= No, The Phoenix Program is already here, Homeland Security runs it out of the Fusion Centers. They are Terrorizing the Citizens and Killing people on the Terrorist Watch List (#Targeted Individuals). Ask yourself why and then stop it. So now you know The phoenix program is already in place. It is the infrastructure which allows contractors (Mercenaries) to attack Targeted Individuals. You may have seen Eric Prince in the news lately and this is on purpose because he is there just to scare you into thinking that Trump will target Americans with Phoenix. This is all part of the psyops or psychological operation. in order to understand what is going on, you must listen to this podcast with Douglas Valentine telling how the program has evolved into what it is today. This podcast is on “Guns and Butter” which is an internet radio program. Journalist George Webb Stated on Ella Free’s podcast that the Phoenix contractors are waiting for an insurrection to so what they were hired to do. Until the insurrection they are supposed to target designated people on the Terrorist watch list and practice torture on them. The CIA has been a leader in the types of actions such as creating covert actions to target people they dont like. It turns out that all the people on the terrorist watch list are people who are targeted by the CIA for various reasons. They are a take over group for when there is a regime change. They will be a black group who are supposed to take over the United States. The shadow government needs a standing army ready to take over the US, which is trained to use special weapons and recover from special challenges These contractors are members of the takeover army. They are actually traitors to America. They are planning for the failure of America. Think of it, you have this standing army of folks hanging around until there is a takeover by the military. They have nothing to do unless they are put to work practicing their weapons techniques on these poor TI’s. The targeters are mercenaries. They make good money to target TI’s and they are just hanging around practicing on them until there is a take over of America. John Perkins wrote confessions of an economic hitman. Perkins was a CIA economic hit man who was dispatched to third world countries to make lucrative deals, which were beneficial to his corporate bosses. Now John Perkins is trying to make amends by blowing the whistle on this extremely unfair practice. He is an excellent speaker and knows his subject. John Perkins is a CIA Whistleblower who can tie all this together for you because he was an Economic Hit Man. He actually took over countries resources for the CIA and their Corporate sponsors without firing a shot. It turns out that America has been asset stipping every third world country which had resources of value to american corporation. If you watch this video, you will find out what happened. You will find out why the CIA and the corporations and banks want to take over countries. This is the short version, about 42 minutes. If you are looking at all this and thinking that it could cause the society to be destabilized, you are right. They (CIA and Corporations) are trying to bring down the United States as a country. Remember that the corporations are Global Corporations now, not American corporations and have no allegiance to America. Asset striping this country is a big money making operation and the Military Security Complex has been on the welfare wagon for a long time. Will you let the psyops continue? 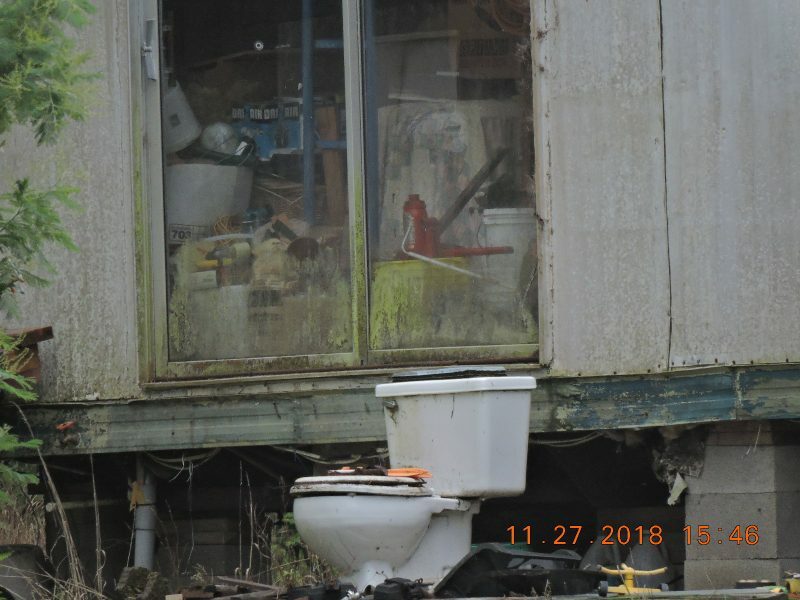 The contractors who invaded your neighborhoods are still there collecting your tax dollars for nothing, actually worse than nothing. Lets kick them the hell out of town. The following information is taken directly from the DHS fusion centers own information which they present to the public. Since the Phoenix program is orchestrated out of the DHS Fusion centers, It would be a good Idea to examine them more closely. A Terrorism Liaison Officer (TLO) is a individual that functions as the principle point of contact for a public safety agency in matters related to terrorism information. The TLO, though not necessarily an expert in terrorism, attends meetings and receives terrorism training and information from the local Fusion Center, or other local entities engaged in terrorism intelligence or investigations. The TLO then educates others within his or her department or area of responsibility. TLOs are a vital link in keeping those engaged in public safety professions aware of current terrorist tactics, techniques, and practices. Through the diligent performance of their duties, public safety personnel are alerted to terrorism indicators and warnings that might otherwise go unreported. TLOs are typically contacted when suspicious activities are witnessed that could potentially be related to terrorism. They in turn forward the lead or Suspicious Activity Report (SAR) to their local police, Fusion Center, or the Joint Terrorism Task Force (JTTF). TLOs raise the level of prevention and preparedness within our communities and better prepare public safety personnel to deal effectively with the threat of terrorism. What if my department doesn’t have a TLO? This is easy. After securing the necessary approval from your agency, contact your local Fusion Center. They will assist you in getting started and will direct you to the appropriate contact person in your area. What are some of the typical duties for a TLO? The collecting, reporting, retrieving, and sharing of materials related to terrorism. The source person for internal or external inquiry. The contact for communicating with community stakeholders in matters related to terrorism. The contact person for community and private sector relationships. The person who conducts, coordinates, and/or facilitates departmental training with regard to terrorism and terrorist related subjects. The person who conducts, coordinates, and/or facilitates community meetings, conferences, and other information sharing activities. The designated agency representative to the JTTF, Terrorism Early Warning Group (TEW), or Fusion Center. Do all TLOs perform the same duties? No. TLOs can be representatives of police, fire, and public health agencies. Each of these disciplines has unique needs in dealing with the threat of terrorism. Although the education and information received is frequently the same, the role that these agencies play are quite different, therefore information is frequently provided according to the need, and training needs will differ at times. Are there requirements to become a TLO? Requirements to serve as a TLO vary from agency to agency. What is most desired in a prospective TLO is good communication skills and a passion for learning about the threat of terrorism and ways to protect our communities. TLOs should be willing to contribute and give of themselves to the overriding public interest. Reluctant, and/or “ordered,” acceptance of the position will quite probably lead to an unsuccessful outcome. The TLO must be willing to seek and attend additional education and training that will enhance their ability to perform in this challenging role. TLOs fill a necessary and vital part of an overall national strategy to counter the threat of terrorism in the United States. What is the origin of the TLO Program? Shortly after 9/11, the police chiefs in South Bay, California organized a Terrorism Advisory Group as an effort apart from the existing Los Angeles County Terrorism Early Warning Group (TEW). One of the concepts that came out of this effort was that each agency designated a Terrorism Liaison Officer. These officers became the central point of contact for all terrorism-related information for their respective agencies. But there were limitations. Recognizing the extraordinary potential for the TLO Program to be a force-multiplier in countering the threat of terrorism, the concept was adopted by the Los Angeles County TEW. The model proved to be a tremendous success and has now expanded nationwide. Fusion Centers are now the principal points of coordination for the TLO Program. Because the multi-disciplinary approach to information sharing is vital to the success of any terrorism-related response, the TLO Program has been expanded to include fire department and public health representatives. https://ncric.org/default.aspx?menuitemid=629&AspxAutoDetectCookieSupport=1The NCRIC TLO program is limited to: Active Peace Officers, Firefighters, State Investigators, Federal Agents, Military Investigative personnel, or other government employees (working within the public safety /homeland security community) employed within the NCRIC’s Area of Responsibility (AOR). The NCRIC AOR consists of Alameda, Contra Costa, Del Norte, Humboldt, Lake, Marin, Mendocino, Monterey, Napa, San Francisco, Santa Clara, Santa Cruz, San Benito, San Mateo, and Sonoma counties. TLO position is an ancillary assignment. The TLO program is part of a statewide program administered locally by the Northern California Regional Intelligence Center (NCRIC). TLO’s can be an important link in keeping their agencies staff engaged & knowledgeable about current terrorist tactics, techniques & trends, regional crime trends & threats, and Officer safety information. State and major urban area fusion centers (fusion centers) serve as focal points within the state and local environment for the receipt, analysis, gathering, and sharing of threat-related information between the federal government and state, local, tribal, territorial (SLTT) and private sector partners. Located in states and major urban areas throughout the country, fusion centers are uniquely situated to empower front-line law enforcement, public safety, fire service, emergency response, public health, critical infrastructure protection, and private sector security personnel to understand local implications of national intelligence, thus enabling local officials to better protect their communities. Fusion centers provide interdisciplinary expertise and situational awareness to inform decision-making at all levels of government. They conduct analysis and facilitate information sharing while assisting law enforcement and homeland security partners in preventing, protecting against, and responding to crime and terrorism. Fusion centers are owned and operated by state and local entities with support from federal partners in the form of deployed personnel, training, technical assistance, exercise support, security clearances, connectivity to federal systems, technology, and grant funding. InfraGard is a partnership between the FBI and members of the private sector. The InfraGard program provides a vehicle for seamless public-private collaboration with government that expedites the timely exchange of information and promotes mutual learning opportunities relevant to the protection of Critical Infrastructure. With thousands of vetted members nationally, InfraGard’s membership includes business executives, entrepreneurs, military and government officials, computer professionals, academia and state and local law enforcement; each dedicated to contributing industry specific insight and advancing national security. InfraGard is a partnership between the FBI and the private sector. It is an association of persons who represent businesses, academic institutions, state and local law enforcement agencies, and other participants dedicated to sharing information and intelligence to prevent hostile acts against the U.S. Each InfraGard Members Alliance (IMA) is geographically linked with a FBI Field Office, providing all stakeholders immediate access to experts from law enforcement, industry, academic institutions and other federal, state and local government agencies. By utilizing the talents and expertise of the InfraGard network, information is shared to mitigate threats to our nation’s critical infrastructures and key resources. Collaboration and communication are the keys to protection. Providing timely and accurate information to those responsible for safeguarding our critical infrastructures, even at a local level, is paramount in the fight to protect the United States and its resources. As Americans, our lifestyle, economy, and national security are supported by a complex framework of businesses and services. The central role of these critical infrastructures and key resources (CIKR), however, makes them especially vunerable as targets for both physical and cyber attacks. The Federal Bureau of Investigation’s (FBI) priority programs share the common goal of protecting the nation’s infrastructure and resources against threats posed by criminals and foreign adversaries. In support of their mission, Bureau teams including Cyber, Counterterrorism, Counterintelligence and others rely on close dialogue across government, but also benefit substantially from outside collaboration. There are 16 critical infrastructure sectors whose assets, systems, and networks, whether physical or virtual, are considered so vital to the United States that their incapacitation or destruction would have a debilitating effect on security, national economic security, national public health or safety, or any combination thereof. The Department of Homeland Security is designated as the Sector-Specific Agency for the Commercial Facilities Sector. The Department of Homeland Security has a vital mission: to secure the nation from the many threats we face. This requires the dedication of more than 240,000 employees in jobs that range from aviation and border security to emergency response, from cybersecurity analyst to chemical facility inspector. Our duties are wide-ranging, and our goal is clear – keeping America safe. The list of all Operational and Support Components that make up the Department along with our organization chart and the list of senior leadership. The Secretary of Homeland Security oversees the third largest Cabinet department and leads our nation’s efforts to secure our country from terrorism to natural disasters. Here’s where the public and others can assess how effectively DHS performs its mission and provides stewardship of resources. Challenge your mind and use your skills and talents with a DHS career. Our employees play a vital role to secure our country and preserve our freedoms. Start here if you want to learn how to work with DHS, how we assist small businesses and about our policies, regulations and business opportunities. Public laws are passed by Congress and signed into law by the President. Regulations are issued to carry out the intent of legislation enacted by Congress. The Department of Homeland Security combined 22 different federal departments and agencies into a unified, integrated cabinet agency when it was established in 2002. DHS is committed to enabling better utilization of departmental data to improve the quality of services to the American people, while developing products that promote innovation while maintaining enhanced security. Lookup email and mailing addresses, telephone numbers, help-desk support for Web applications, instructions on how to report incidents and more. Resources for employees of the U.S. Department of Homeland Security. The Presidential Transition Office coordinates and supports the Department’s transition activities to ensure continuity of operations and facilitate a seamless transition from the current presidential administration to the next administration. The satellites are actually ground based. Most airborne targeting is using drones. Most people are hooked up to the local cell phone towers. That is what the stalking is about. Watch them use their cell phones to hook you up. Watch the cell phone point at you. It only takes seconds. They never make eye contact. Anyone who speaks to you is a data collector. The lower level, less intelligent perps are using their cell phones. Watch sizitgesture.com videos. Start wearing an I phone around your neck and video them like Skizit does. Make a cloth carrier to hold the cell phone in, attach a string for around your neck. When you think you are being stalked, turn on the video…(do not hold the video camera in your hand, as you might be thrown in a mental hospital by the dirty local Sheriff. Post the stalking online.